I Am…I Said, A Fan of Neil Diamond Message Board began on May 4, 1999. The original idea behind setting up the board was to have a way for a small group of close friends, who were also Neil Diamond fans, to communicate with Iris Gerhardt, who was leaving soon for Australia to see Neil in concert. Because of some discontent with Internet message boards that were available at the time, the possibility of setting up a new board seemed like a viable solution. Prior to early 1999, Sony Music sponsored a Neil Diamond Message Board. Unfortunately, the board was under frequent attacks from trolls. Sony did not, at the time, afford itself the manpower necessary to properly monitor the board, and so after an extremely vicious troll attack, the board was shut down. Fans were left with little to choose from as a means of communication. The three of us (Jean Scigliano, Eydie Ruth, and Iris Gerhardt) thought the Neil Diamond online community needed a message board where all fans would feel welcome–a message board where there was a sense of community. We envisioned a message board that would interest not only the diehard fan, but the casual fan as well. We wanted a message board that would honor the name “Neil Diamond.” We wanted a message board that would be monitored so that undesirable content would be removed in a timely manner–a message board where the rules were “no rules, just common sense,” as we felt that most Neil Diamond fans were mature enough to know the meaning of common sense. The name of the board came to us one day during a phone conversation – “I Am…I Said, A Fan of Neil Diamond Message Board.” It was an obvious choice, since We Are Fans of Neil Diamond! We passed along the URL of the new board to our close friends and the word soon spread throughout the Neil Diamond community. We’ve had our share of bumps along the way, but with the assistance of a number of fans who helped us behind the scenes, we’ve managed to get through those trying times. In early 2001, SONY asked the three of us, along with a few other fans in the Neil Diamond community, for our input into what was to become Neildiamond.com. We were honored that SONY asked for our thoughts and ideas, and we are very pleased that some of those ideas are actually being used on Neildiamond.com today. 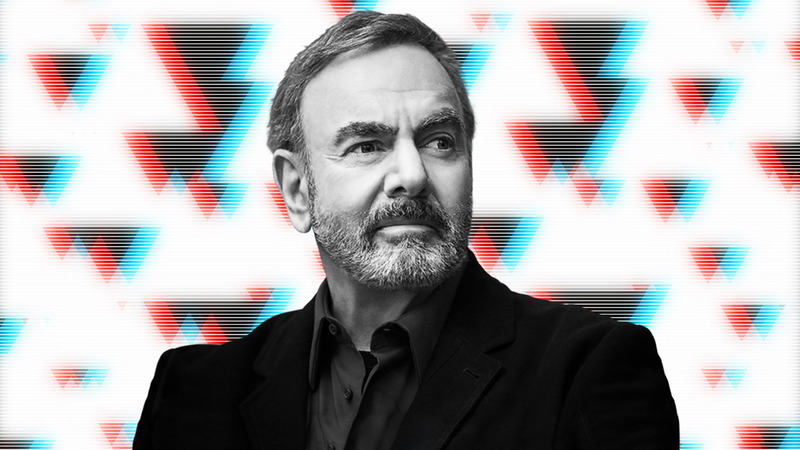 Neildiamond.com was launched in July 2001, and we would like to thank them for providing a link directing Diamond fans to the “I Am…I Said, A Fan of Neil Diamond Message Board.” We feel this recognition is a testament to the spirit of community that we strive to uphold. IAIS (as we have come to be known) has also gone through some changes since our inception. We outgrew two servers, and our look has changed. Now, with the launch of the new IAIS, those changes continue. But through all the changes, we have kept the same standard that began on May 4, 1999 — a friendly gathering place welcoming Neil Diamond fans worldwide. We feel confident that you will enjoy all that the new IAIS has to offer. We want IAIS to be a place where you can learn more about Neil Diamond the man, the songwriter, the singer, the performer.